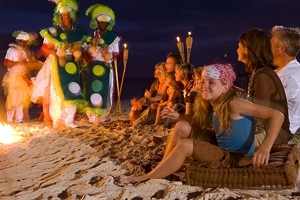 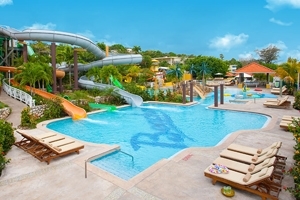 Treat the entire family to an unforgettable Caribbean holiday at Beaches Ocho Rios - A Spa, Golf & Waterpark, a fabulous luxury resort that will thrill guests of all ages. 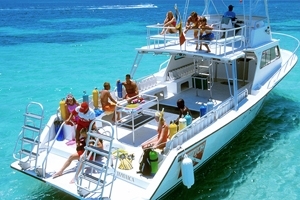 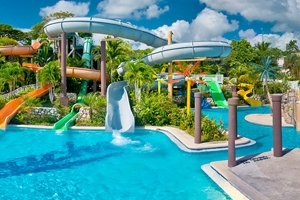 Located close to the exhilarating Pirates Island waterpark and the Sandals Golf & Country Club, children and adults have plenty to keep them entertained at Beaches Ocho Rios. 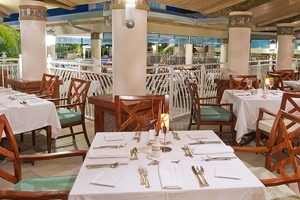 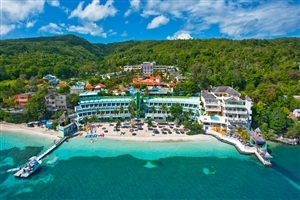 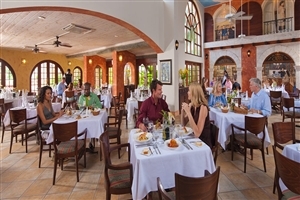 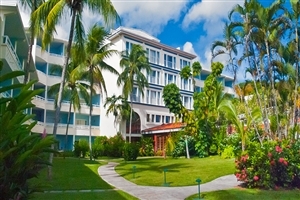 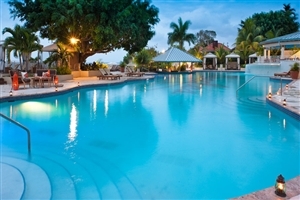 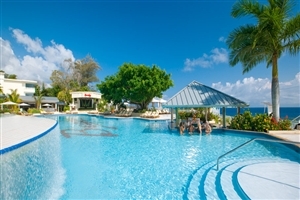 In addition, Beaches Ocho Rios offers a wide choice of smartly appointed guestrooms and suites, tempting on-site restaurants and an array of fabulous facilities, including swimming pools, sporting activities and watersports. 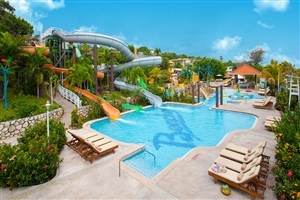 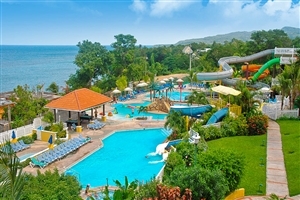 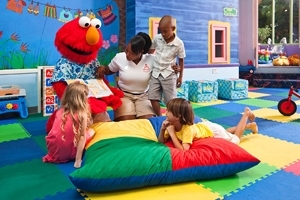 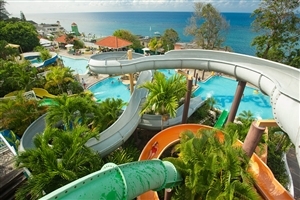 Enjoy some brilliant family fun at Beaches Ocho Rios - A Spa, Golf & Waterpark, where adults and children are sure to experience a memorable Caribbean holiday. 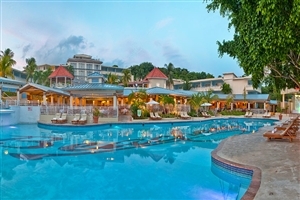 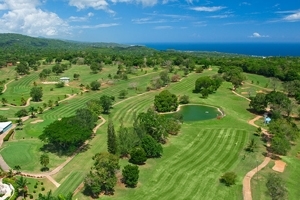 Beaches Ocho Rios - A Spa, Golf & Waterpark offers something for everyone with its magnificent location, close to the exhilarating Pirates Island waterpark – perfect for the kids – and close to Sandals Golf & Country Club, where adults can relax by playing a round or two in immaculate conditions. 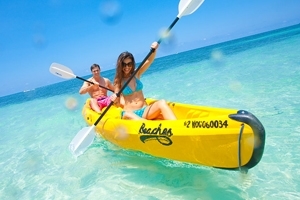 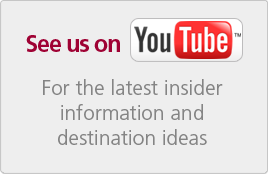 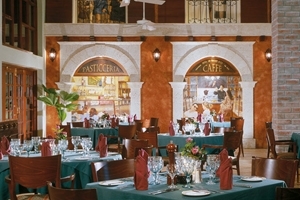 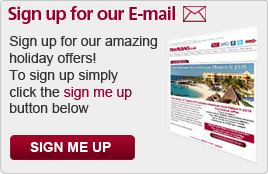 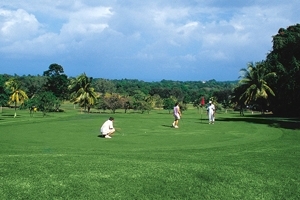 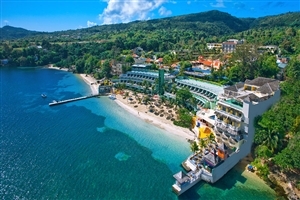 Beaches Ocho Rios - A Spa, Golf & Waterpark is an expansive resort, where you are treated to exceptional choice, from accommodation, to dining, to facilities, ensuring every day is a new adventure for you and your loved ones. 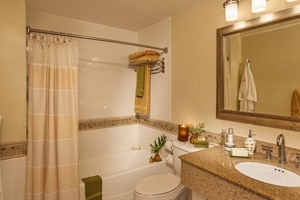 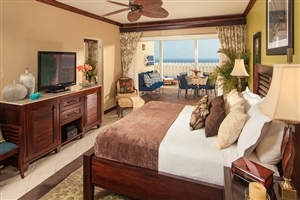 The Caribbean Deluxe Family Sized Room at Beaches Ocho Rios offers a practical living space and comfortable living area, with views to be enjoyed across the St. Anne Mountains. 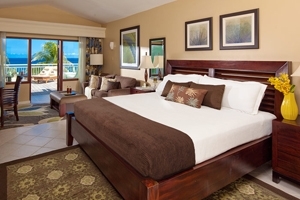 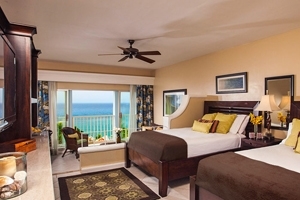 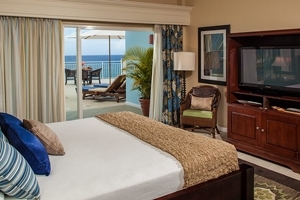 The Caribbean Luxury Family Sized Room at Beaches Ocho Rios is available with a spacious bedroom and a comfortable living area, plus a balcony overlooking the St. Anne Mountains. 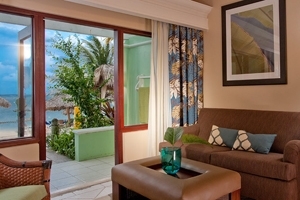 The Caribbean Luxury Family Sized Suite at Beaches Ocho Rios is the ideal choice for families with its practical accommodation space and ample room for 5 persons. 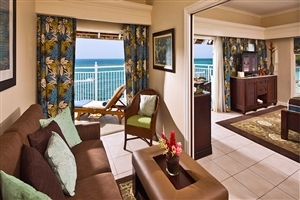 The room overlooks the resort grounds, the Venetian Terrace and part-ocean. 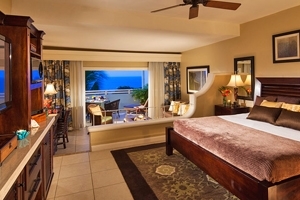 The Caribbean Grande Luxe Suite at Beaches Ocho Rios is split across two levels and can accommodate up to 5 persons with its king-size bed and rollaway beds. 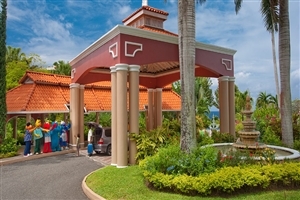 Features include a walkout balcony or patio overlooking the Venetian Terrace and resort grounds, plus a spacious living area. 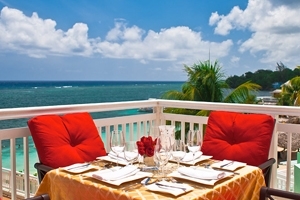 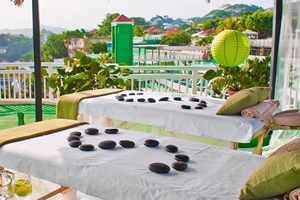 The French Village Honeymoon Veranda Suite at Beaches Ocho Rios enjoy a top floor location for wonderful views across the Venetian Terrace and the resort grounds. 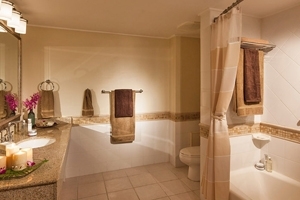 Features of the Suite include an en-suite bathroom, a large shared terrace and an expansive bedroom. 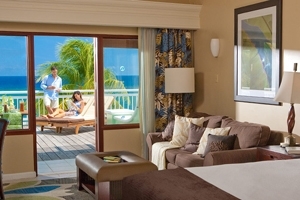 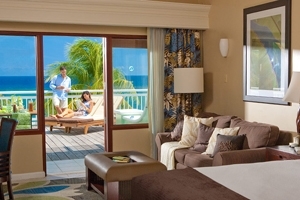 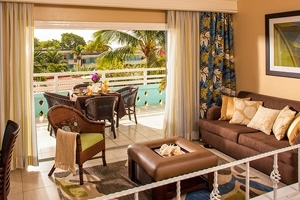 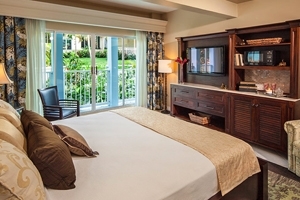 The Caribbean Oceanview Luxury Veranda Suite at Beaches Ocho Rios features a sunken living area that leads onto an oversized balcony overlooking the Caribbean Sea and the tropical gardens. 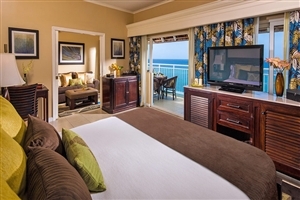 The Caribbean Oceanview Luxury Suite at Beaches Ocho Rios is split across two levels and features a master bedroom with a lavishly appointed en-suite bathroom, plus a living space that opens up to a French-style balcony overlooking the Caribbean Sea and the resort grounds. 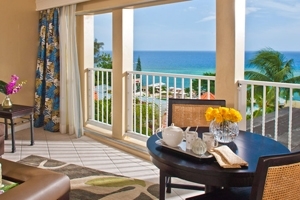 The Caribbean Honeymoon Oceanview Luxury Suite at Beaches Ocho Rios is split across two levels and features a master bedroom with a lavishly appointed en-suite bathroom, plus a living space that opens up to a French-style balcony overlooking the Caribbean Sea and the resort grounds. 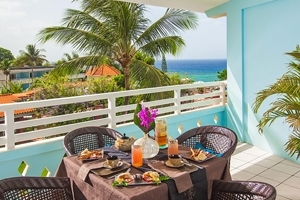 The French Village Honeymoon Oceanview Grande Luxe Concierge Veranda Suite at Beaches Ocho Rios is distinguished by its spacious walkout balcony, where views of the tropical gardens and the Caribbean Sea can be enjoyed. 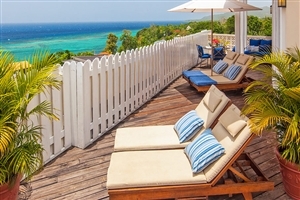 Features include a sunken living room and the choice of a king-size bed or two double beds. 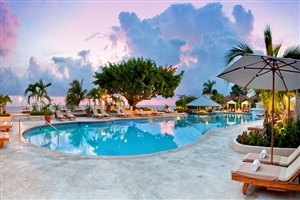 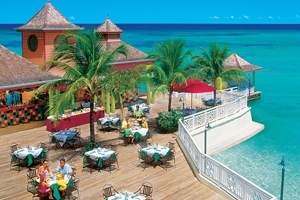 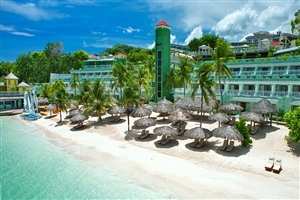 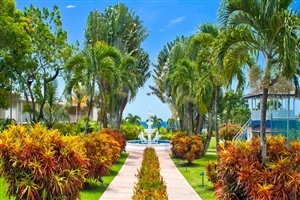 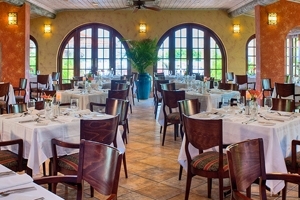 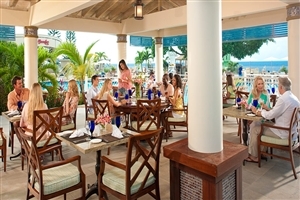 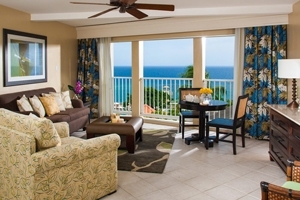 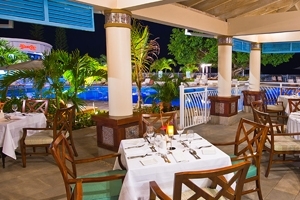 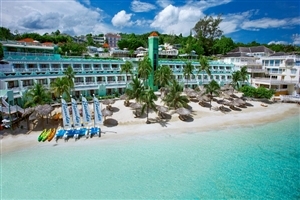 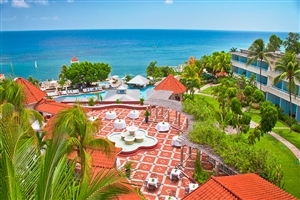 The Caribbean Honeymoon Oceanview Concirger Veranda Suiteat Beaches Ocho Rios overlooks the pleasant tropical gardens and the Caribbean Sea beyond from the large walkout balcony. 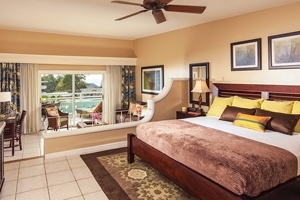 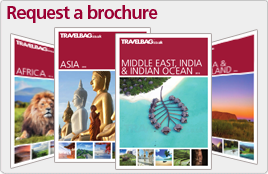 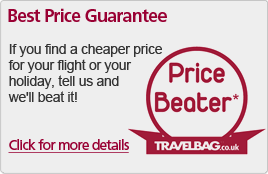 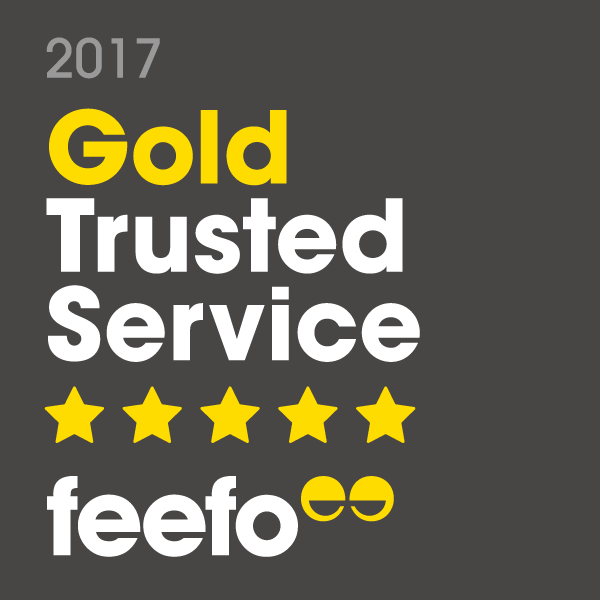 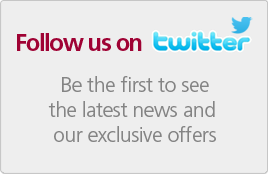 Features include a king-size bed or two double beds, plus a spacious living area. 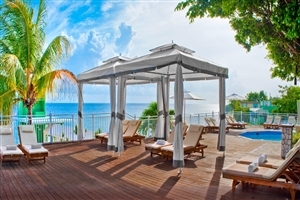 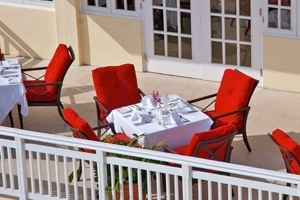 The Greek Oceanfront Concierge Terrace Suite at Beaches Ocho Rios offers a spacious and romantic retreat with its private terrace that opens up superb views of the Caribbean Sea and the beach. 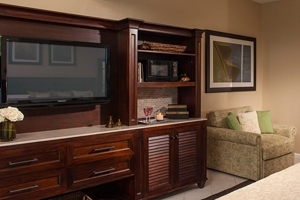 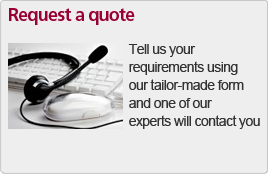 The Suite is available with an exclusive concierge service. 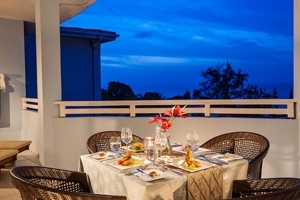 The Greek Honeymoon Oceanfront Concierge Terrace Suite at Beaches Ocho Rios offers a spacious and romantic retreat with its private terrace that opens up superb views of the Caribbean Sea. 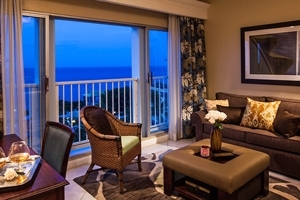 The Suite is available with an exclusive concierge service. 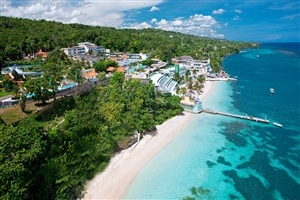 The Greek Honeymoon Beachfront Walkout Concierge Suite at Beaches Ocho Rios commands a unique location on the ground floor of the resort for direct access to the stunning white sand beach. 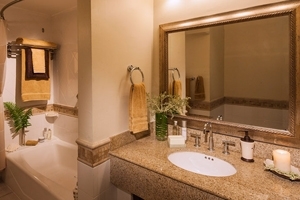 The Suite features an open-plan bedroom and living area, plus a lavishly appointed en-suite bathroom. 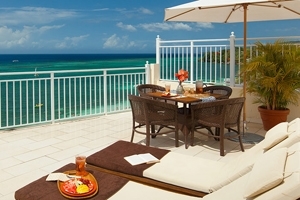 The private deck offers spectacular views across the Caribbean Sea. 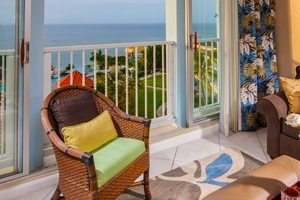 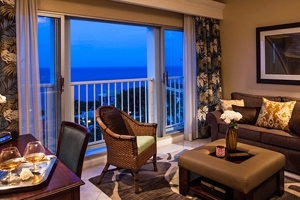 The Caribbean Oceanview One Bedroom Concierge Suite with Balcony at Beaches Ocho Rios is located on the top floor of the resort for spectacular views to be enjoyed from the north-facing private balcony. 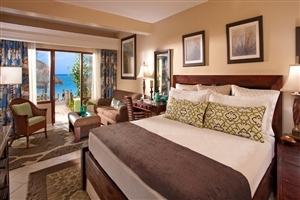 The Suite features a king-size bed, a double bed and a pull-out, making it ideal for a family-of-five, and adds a spacious living room. 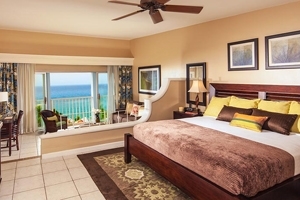 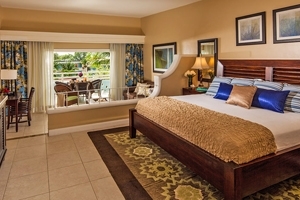 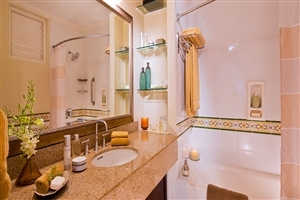 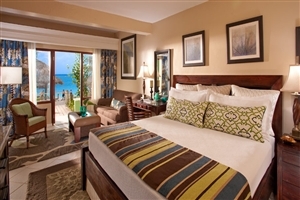 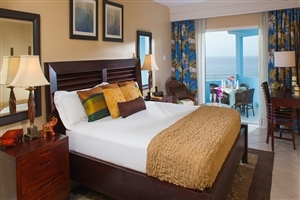 The French Village Oceanfront One Bedroom Concierge Suite at Beaches Ocho Rios features an expansive master bedroomwith a king-size bed or two double beds, plus an en-suite bathroom. 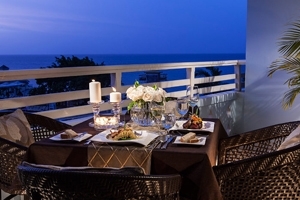 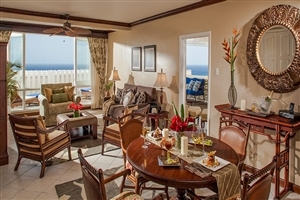 Ideal for families-of-four, the Suite adds a private balcony boasting views across the ocean and the beach. 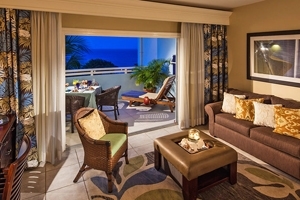 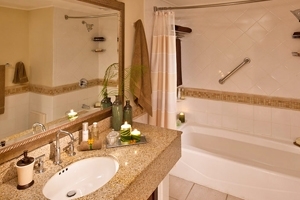 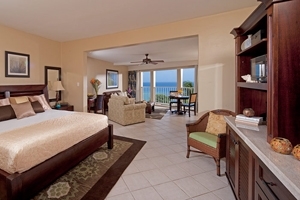 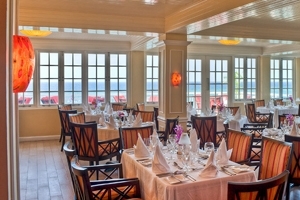 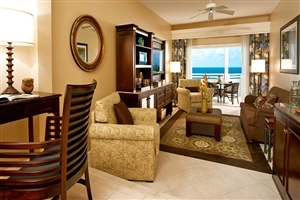 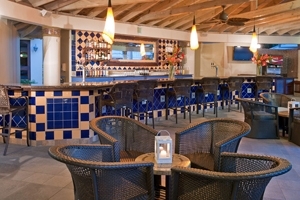 The Suite can also be specified with direct access to the beach. 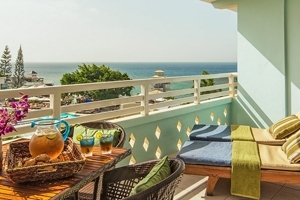 The Caribbean Oceanview Penthouse One Bedroom Concierge Suite at Beaches Ocho Rios is located on the top floor of the resort for spectacular views to be enjoyed across the beach and the Caribbean Sea. 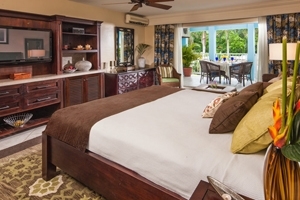 The Suite is available with a private deck which also overlooks the St. Anne Mountains, a luxurious en-suite whirlpool, a dining area and a wet bar. 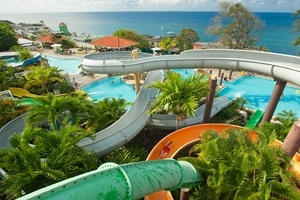 Headlined by the fantastic Pirate’s Island Waterpark that draws visitors from around Jamaica, Beaches Ocho Rios offers a wonderful range of facilities and activities for the whole family to enjoy.